KINGSIZE RECORDS unveils it’s genesis project into the Nigerian music scene, KingSize AllStars, with it’s first official single titled “Babariga“. This would be a first among many projects which would definitely shake up the Nigerian music sphere. KINGSIZE Records is set to the purpose of discovering, nurturing, promoting and managing potentially talented musical and other artistes to stardom in Nigeria and beyond. 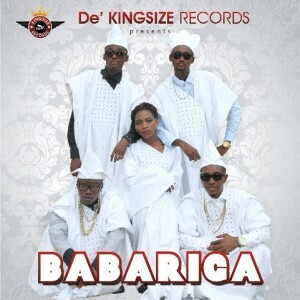 DOWNLOAD AND SHARE BABARIGA to your friends and family.